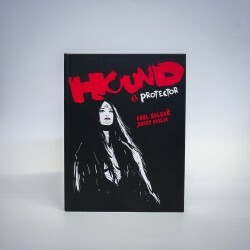 Hound - the protector, details the rise of Ireland's greatest warrior, Cuchullain, from his abduction as a child by the goddess of war, Morrigan, to scaling the heights of the warrior world. His journey is constantly dogged by unseen supernatural forces orchestrated by Morrigan the Goddess of War. 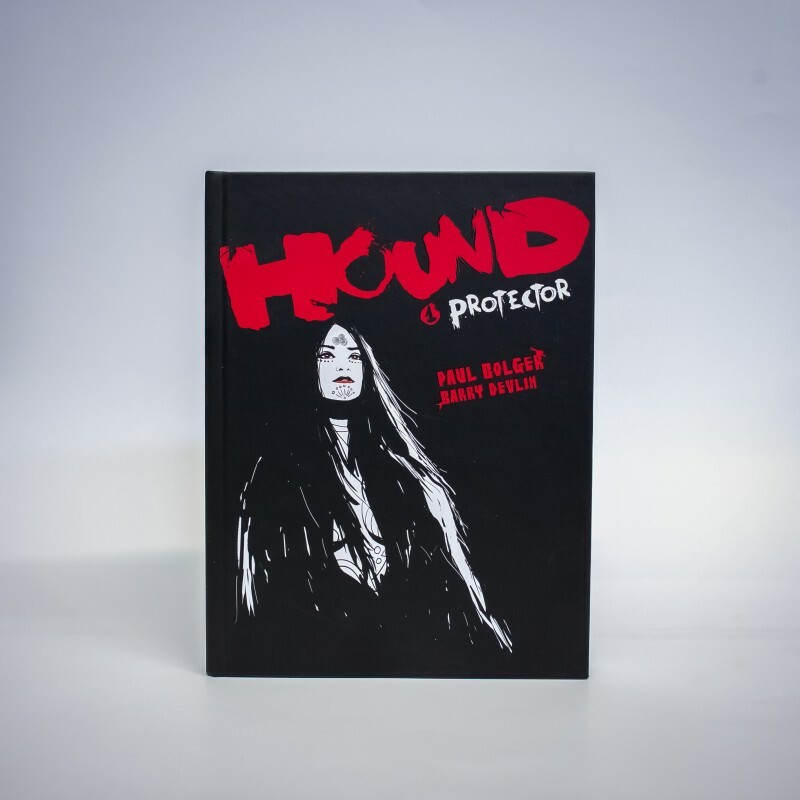 This stunning debut from artist Paul Bolger is a stark black and white vision, that conveys the light and dark of Ancient Ireland and the underworld of the gods.